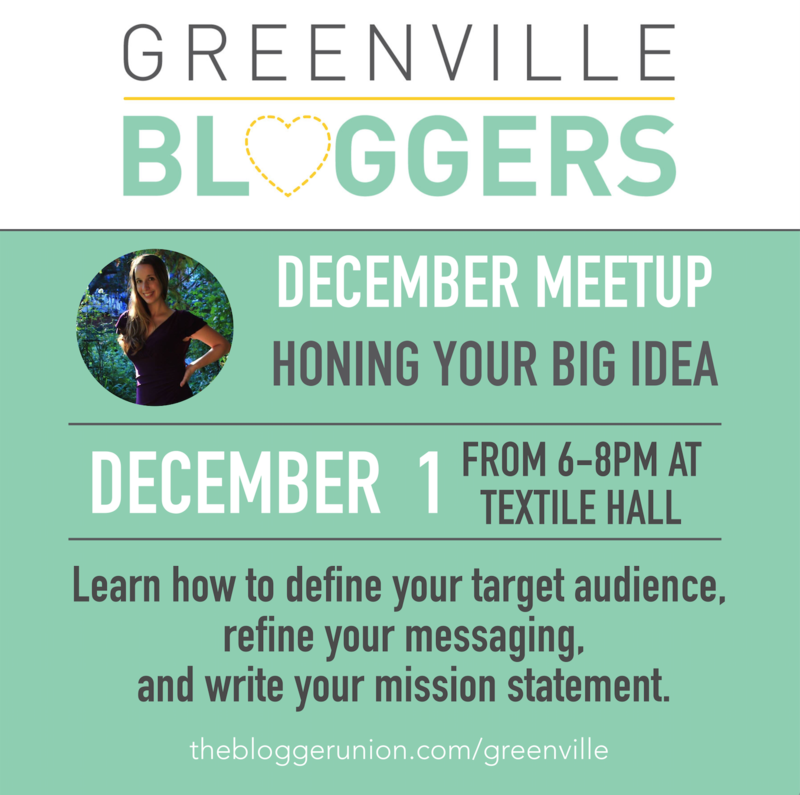 Join the Greenville chapter of the Blogger Union on December 1 for an evening of networking, inspiration, and a session on Honing your Big Idea: How to Define Your Target Audience, Refine Your Messaging, and Write Your Mission Statement. Andrea Huerta, Chapter Officer for the Greenville Blogger Union, and blogger at businessandbabies.co will be leading the session on Honing Your Big Idea. Andrea’s ongoing professional experience in the public relations, corporate communication, and marketing world has led her to gain foundational knowledge for bloggers and businesses, no matter where you are in your blogging journey! 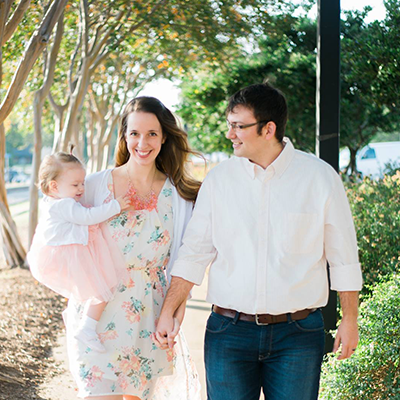 Attendees of the Greenville Blogger Union December Meetup will also be treated to a short presentation by a local business owner, Ashley Tribble of Remix Design. With a background in both commercial and residential interior design, Ashley is a stay-at-home mom that is using her passion and expertise to grow a unique interior design business. Opportunities for collaboration and features are available! Check out the Remix Design Facebook page for examples of her work. Hello! I'm Emily. 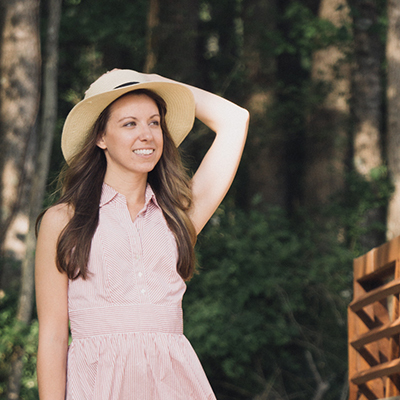 Proud Greenville resident and fashion + lifestyle blogger. I'm a freelance writer and a lover of pretty things. Stop by my blog and say hello. Join The Greenville Bloggers Facebook Group! Add this badge to your site & support Greenville Bloggers! Chapter Officer: Emily Lewandowski Emily is the creator and writer behind the blog, Some Pretty Thing. I focus on sharing everyday fashion for the everyday woman. My goal is to create accessible and affordable outfits and share styling advice and ‘where to buy’ tips. I’m also passionate about clean and natural living, so I often share tested and tried products that promote nature-based ingredients. Chapter Officer: Andrea Huerta Andrea writes stories that encourage hard working women, whether they raise babies, run a business, or both. As the author of Get Cash, Not a Career, she shares ideas for flexible work options and features the unseen beauty of financial and emotional hardships, where God’s grace abounds. Visit her blog, Business and Babies.